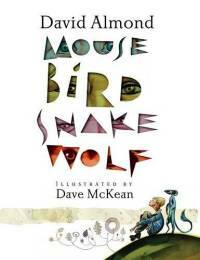 David Almond and Dave McKean together again, with a dark, powerful and moving short story. Joe Quinn tells everyone about the poltergeist in his house, but no one believes him. No one that is, except for Davey. He’s felt the inexplicable presence in the rooms, he’s seen random objects fly through the air. And there’s something else … a memory of his beloved sister, and a feeling deep down that somehow it might be possible for ghosts to exist. "Blurring the boundaries between text and image, child and adult, life and afterlife, Almond and McKean create a sense of the meeting point between the human and sublime." 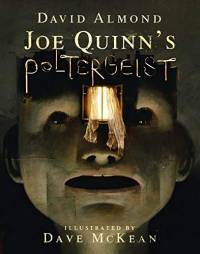 Joe Quinn’s Poltergeist was published on March 7th 2019 by Walker Books. A vivid and moving story, beautifully illustrated, which commemorates the hundred-year anniversary of the end of the First World War. "I am just a child," says John. "How can I be at war?" It’s 1918, and war is everywhere. John’s dad is fighting in the trenches far away in France. His mum works in the munitions factory just along the road. His teacher says that John is fighting, too, that he is at war with enemy children in Germany. One day, in the wild woods outside town, John has an impossible moment: a meeting with a German boy named Jan. John catches a glimpse of a better world, in which children like Jan and himself can come together, and scatter the seeds of peace. Gorgeously illustrated by David Litchfield, this is a book to treasure. Kielder Water is a wild and beautiful place, rich in folk music and legend. Years ago, before a great dam was built to fill the valley with water, there were farms and homesteads in that valley and musicians who livened their rooms with song. After the village was abandoned and before the waters rushed in, a father and daughter returned there. The girl began to play her fiddle, bringing her tune to one empty house after another — for this was the last time that music would be heard in that place. 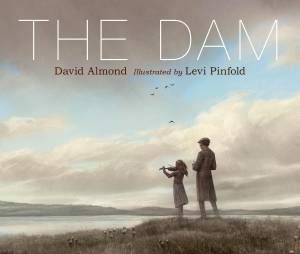 With exquisite artwork by Levi Pinfold, David Almond’s lyrical narrative – inspired by a true tale – pays homage to his friends Mike and Kathryn Tickell and all the musicians of Northumberland, to show that music is ancient and unstoppable, and that dams and lakes cannot overwhelm it. "With its every detail – its masterful illustrations, its landscape format, and the elegant text that offers readers a way to see the promise of new life from what has been destroyed – this book triumphs." "With riveting language and moody art, this true story will evoke awe and reverence of place for even very young readers." " a poignant collaboration between David Almond and illustrator Levi Pinfold, filled with wordless landscapes and harmonies heard deep in the reader’s mind…"
"Perhaps the most extraordinarily lovely and melancholy picture book published this year.."
"This stunning, wild and atmospheric picture book by two giants of children’s literature tells the true story of a musician father and his daughter who, before the community is lost, enter each house in the valley and play music, sing and dance in each one, so that they will always contain music – and magic.."
The Dam, illustrated by Levi Pinfold, was published on 11th September 2018. Bert and Betty Brown have got themselves a little angel. Bert found him in his top pocket when he was driving his bus. Bert and Betty’s friends think he’s lovely. So do Nancy and Jack and Alice from Class 5K. What a wonder! But Acting Head Teacher Mrs Mole is not so sure. Nor is Professor Smellie. Or the mysterious bloke in black who claims to be a School Inspector. 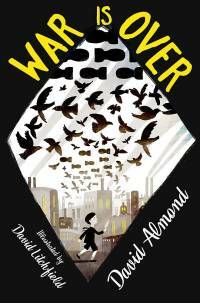 "Almond’s dry wit will bring smiles, and his underlying message about good and evil may shake up some preconceived notions." 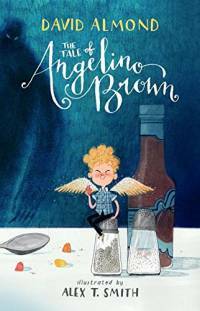 The Tale of Angelino Brown is illustrated by Alex T. Smith. It was nominated for both the Carnegie and the Kate Greenaway medal for 2018. It is published by Walker Books. The gods have created a world – they’ve built mountains, a sea and a sky – and now their days are filled with long naps in the clouds (and tea and cake). That’s until Harry, Sue and Little Ben begin to fill the gaps of the world: with a mousy thing, a chirpy thing and a twisty legless thing. As the children’s ideas take shape, the power of their visions proves to be greater than they, or the gods, could ever have imagined. This wonderful story is brought to life with the illustrations of Ayesha Lopez. 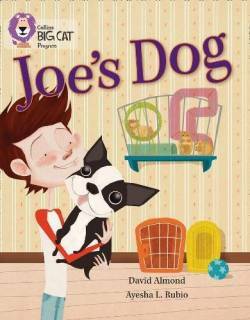 Joe’s Dog is a Collins Big Cat Progress book, specifically designed for children at Key Stage 2 who have a Key Stage 1 reading level, giving them age-appropriate texts that they can read, building their confidence and fostering positive attitudes towards reading. Do you believe there’s life after death? Slog does. He reckons that the scruffy bloke sitting outside the pork shop is his dad come back to visit him for one last time – just like he’d said he would, just before he died. Slog’s mate Davie isn’t convinced. But how does this man know everything Slog’s dad would know? Because Slog says it really is his dad, that’s how. 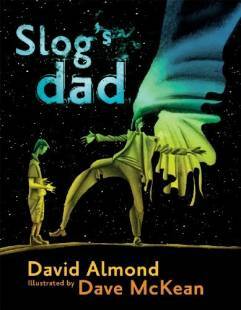 Slog’s Dad is published by Walker Books, with ilustrations by Dave McKean. It is also included in Half a Creature from the Sea. Paul believes that the moon is not the moon, but is a great hole in the sky. 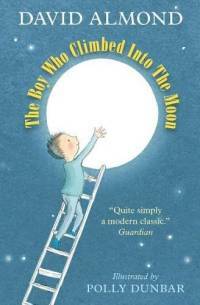 It’s one of many strange ideas that he’s never told anyone (at school he was told that he had no ideas at all), until he meets Molly, his irrepressible neighbour, who begins to convince him that his theory might just change the world. Helped by a very long ladder, some highly irregular characters, two rather worried parents and a great deal of community spirit, Paul takes to the sky. Lizzie and Dad live in a rainy town in the north of England. It’s just the two of them, and Auntie Doreen, who pops round to check Lizzie’s spellings and tell Dad he’s daft – and make them nice hot dumplings. But today there’s something unusual going on: why is Dad building himself a pair of wings and studying the birds to see how they fly? The Great Human Bird Competition of course! 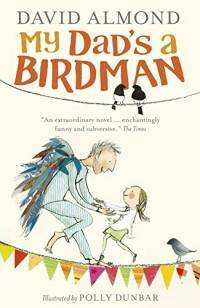 My Dad’s a Birdman is published by Walker Books: a warm and wonderfully wacky tale told with heart and hope by Carnegie award winning author David Almond and illustrastor Polly Dunbar. Imagine you wrote a story and that story came true. This is exactly what happens to Blue Baker when he writes about a savage living alone in the woods near his home. After his dad’s death, Blue finds comfort in dreaming of a wild kid who survives on a diet of berries and the occasional hapless passer-by. But when the savage pays a night-time visit to the local bully, boundaries become blurred and Blue begins to wonder where he ends and the savage begins. 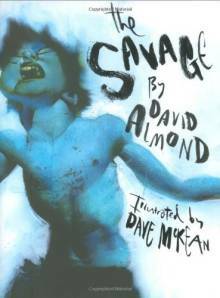 The Savage is published by Walker Books; part novel, part graphic novel, this moving story features striking art from the award-winning Dave McKean. Web design by Cornwell Internet.